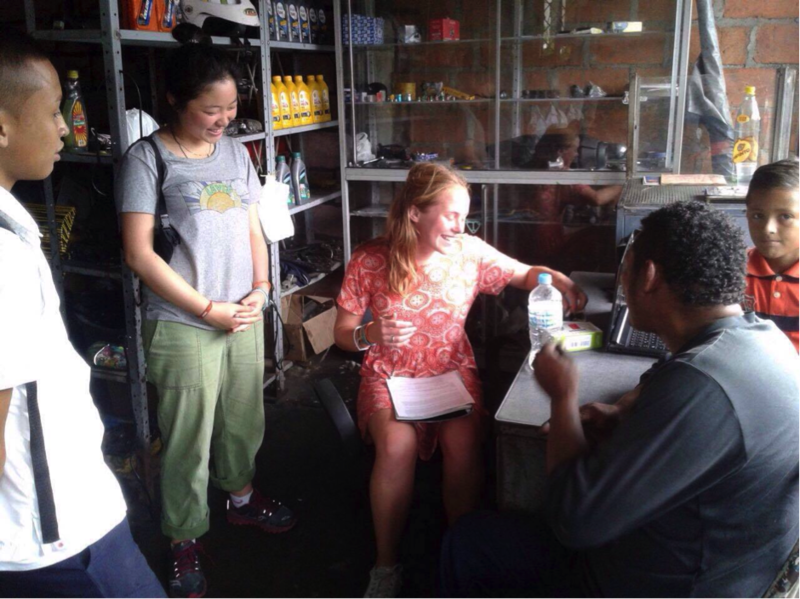 Tiffany Ip, who currently works for an anti-mining NGO in Colombia, visited landmine victims in La Granja, where she learnt about their long road to receiving reparations. Situated 8 hours north of Bogotá in the Santander department is a small town called Bucaramanga. 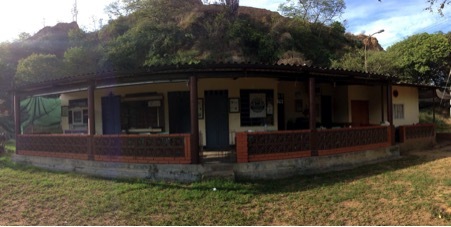 It was here that I got to spend 5 days with a family on a farm called La Granja. Awkwardly located off the road in a tiny region called Girón, La Granja’s battered welcome sign and narrow entrance makes it easy to miss. Once you enter, to your left-hand side is a drained river that was originally a source of gold; we learnt, to none of our surprise, that this was the reason the Spanish conquerors had set foot here. You continue on the pathway along what then becomes a stream of abandoned water, to arrive at a small, humble farmhouse—La Granja. Santander is one of the departments in Colombia with the highest number of displaced victims, owing to the fact that it sits just below Norte de Santander—an area where much guerilla activity took place. I was there to accompany a colleague who was working on her final year thesis. We work in a locally-based NGO called Campaña Colombiana Contra Minas (The Colombian Campaign Against Landmines), which deals with humanitarian demining. She got in touch with Guillermo, the man who manages the farm and who would in the days to come be taking us to visit landmine victims. La Granja is Guillermo’s passion project, a victims’ shelter which he maintains by pulling funds from various places. When we met him, he was behind on two months rent and had been managing to keep the shelter open by persuading the owner to understand his situation. Guillermo is actually the regional director of the NGO but has been without work for 9 months due to lack of funding from the government. Currently, the NGO is focusing their efforts towards humanitarian demining and mine risk education. Only briefly between 2008 and 2011 had the NGO been doing productive aid projects that include victim’s assistance in psychosocial recovery; development of individual and collective skills through recreational, artistic and sports activities; and forming community-based strategies in cooperation with the public and governmental sector to ensure a more effective reintegration into society, amongst many other projects. So for 15 years, Guillermo has taken it upon himself to support the farm and the people in it. He is a man with a huge heart, full of positivity and charm who was eager to show us around and allow us to understand. 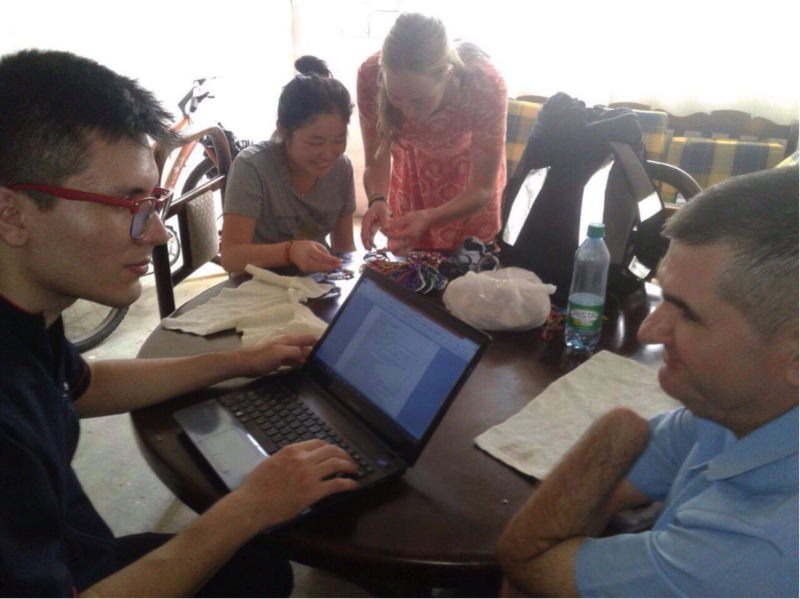 Every day, Guillermo had planned appointments for us to attend and talk to victims and survivors of the conflict. Colombia has suffered more than 50 years of internal conflict, and is home to the world’s highest number of citizens-turned-refugees, with over 7 million people internally displaced. The government has only recently signed a peace deal with the FARC, the largest left-wing guerrilla, and so many of the victims have not yet received their reparations. The first meeting in Floridablanca. 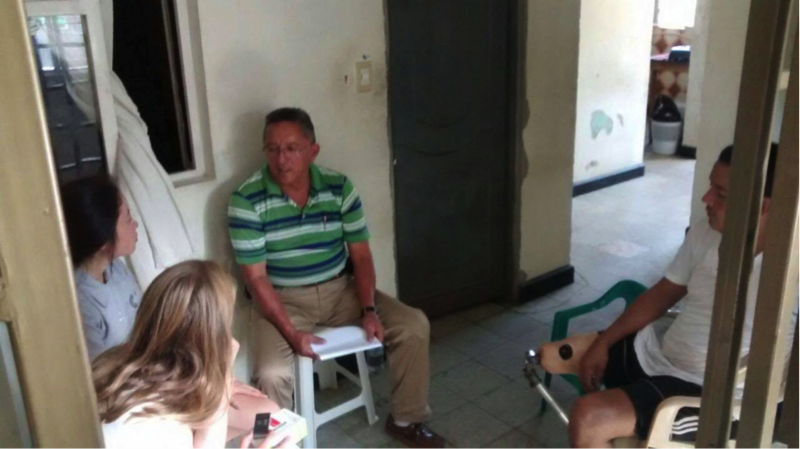 Our first meeting with a victim was a young man named Juan in Floridablanca. He suffered the loss of his right leg from a landmine in a farm at the age of 19 whilst walking across a field from his house. He had also been kidnapped by the ELN twice in Cartagena a few months prior to our meeting. Tortured and threatened for weeks, he is left with a huge scar at the top of his head. Since his capture, his family have been in hiding, his brothers and sisters dispersed around the country and himself living with his sick mother in Santander. He told us at the time that just a week prior, the ELN had gone to his father’s house in search for him. Although he hadn’t told us the purpose of wearing a mask, we suspect that it was just another way for him to conceal his identity. Hiding yourself from the public is not uncommon, some people use fake names in order to protect themselves from being found by those who want to silence them, such as still-active guerrilla groups like the ELN. Carlos, a victim we interviewed in El Playón was one such example. Max Counter, a PhD student from Colorado, studying the land restitution law and human geography of Colombia tells us from his own experience that it is important to arrange prior meetings with a local person before visiting small towns because the locals, who are made up of at least 80% displaced campesinos (rural people), are hyperaware of newcomers and foreign visitors being possible active guerrilla members. A key feature of Colombia’s culture is that the passing of information is usually done by word of mouth (boca a boca), it is usually in this manner that victims in conflict and post-conflict areas learn about their rights based on the victim’s law and land restitution law. Despite decades of conflict, it is only following the recent peace agreement that victims’ rights have begun to be formally recognised. Alejandro, who was the first victim Guillermo received in La Granja, is a man in his mid-fifties who lost both his hands and sight when he stepped on a landmine. He recounted his experience of writing countless letters to the town hall and government for 15 years. It was not until last summer where he finally got his pension and an apartment in Bucaramanga. Speaking and recording interviews with victims. Alejandro said that he was finally happy now that he has his own place, in comparison to the 8 years he had spent in La Granja where his days were filled with boredom and uncertainty. For 8 years his routine was to lay on his bed in his room and listen to the radio all day and only come out to have his meals. Now he lives with his wife and son in Bucaramanga in a flat where he mostly spends his days with them, his adorable green parrot (which would not stop talking during our interview and was only comforted by Alejandro’s neck cuddle), and making bracelets using his mouth. But unfortunately as many of the victims are illiterate and disconnected from the government’s agenda, they are unaware of, or unable to access, their rights. Almost all of the victims we interviewed said they had received no help from the government and town councils, nor from local or international NGOs. Boredom persists while the men and women wait for their reparations in La Granja. It may be a slow process and a logistical nightmare because the peace accord is still in its infancy, but these people will hopefully receive their full rights, in that not only will they obtain their financial reparations, but that the Truth and Memory Commission will recognise their experiences at the hands of the state, the guerrillas, the paramilitaries and the criminal gangs.